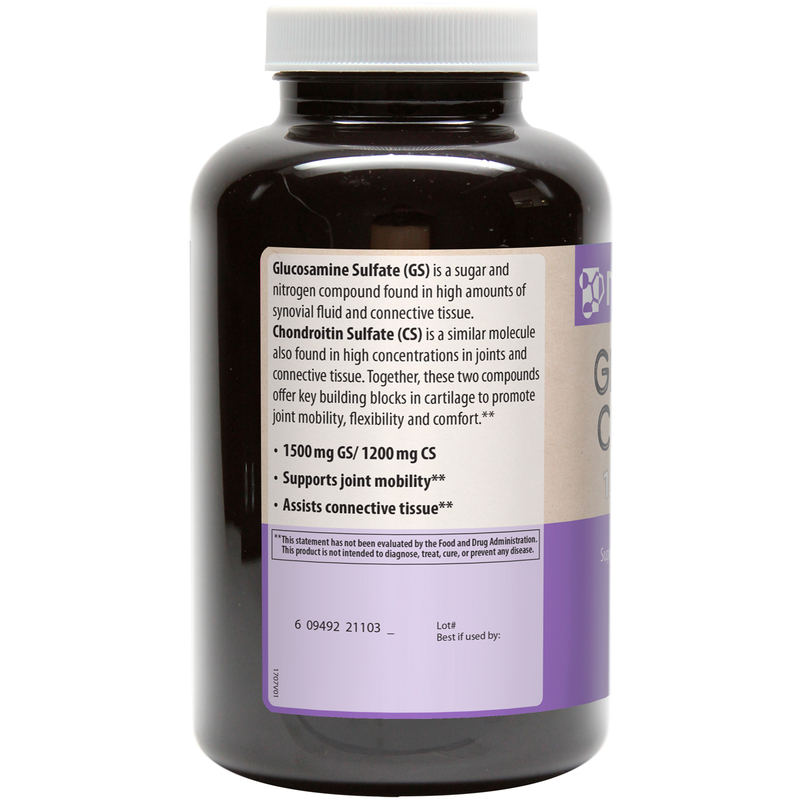 Glucosamine Sulfate (GS) is a sugar and nitrogen compound found in high amounts of synovial fluid and connective tissue. 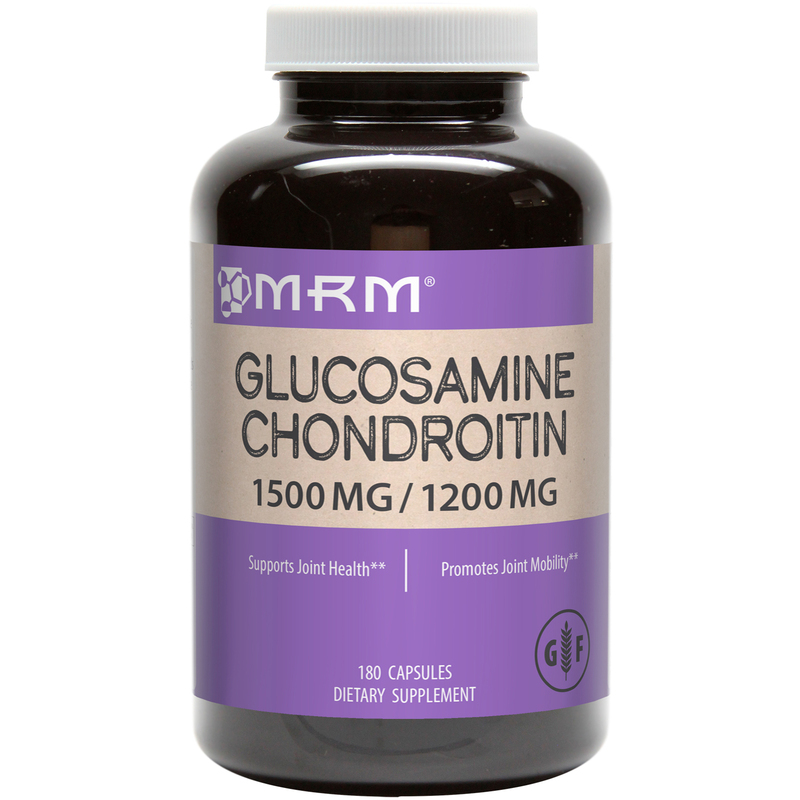 Chondroitin Sulfate (CS) is a similar molecule also found in high concentrations in joints and connective tissue. Together, these two compounds offer key building blocks in cartilage to promote joint mobility, flexibility and comfort. 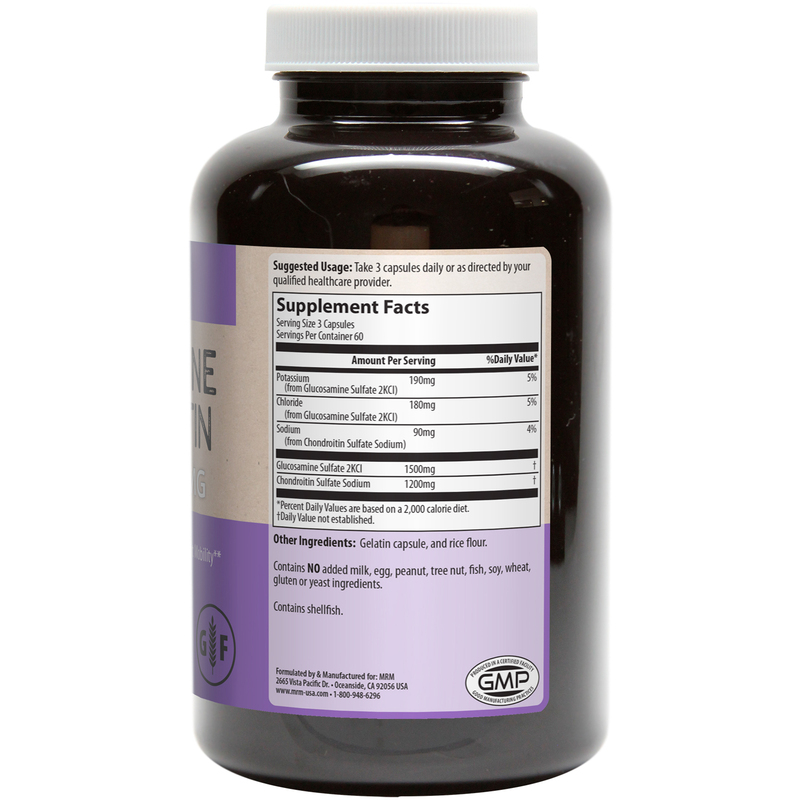 Take 3 capsules daily or as directed by your qualified healthcare provider. Gelatin capsule, and rice flour. Contains No added milk, egg, peanut, tree nut, fish, soy, wheat, gluten or yeast ingredients.